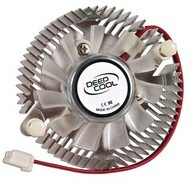 Deepcool V50 Aluminum VGA Cooler & 1.57" Fan w/2-Pin Connector for ATI & NVIDIA Video Cards - NWCA Inc. 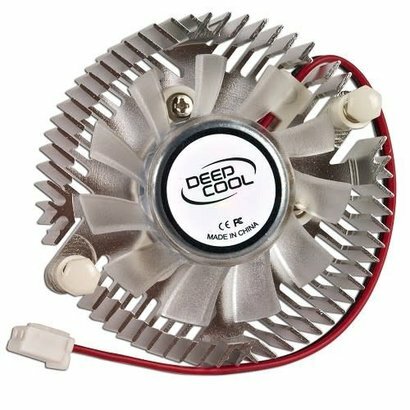 This Deepcool VC50 VGA Cooler delivers superior cooling performance for NVIDIA and ATI Radeon video cards! 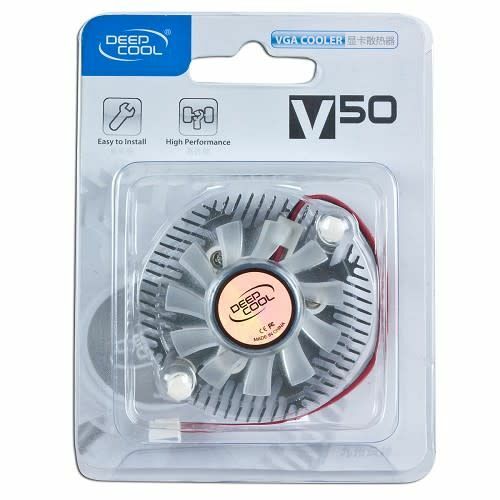 The V50 features an aluminum heat sink and 1.57-inch (50 mm) sleeve bearing fan with a 5300 RPM rotational speed and a 6.81 CFM air flow! The Deepcool VC50 VGA Cooler supports NIVDIA GeForce MX400, 6200, 6500, 7100GS, 7200GS, 7300LE, 7300GS and 8400GS video cards! Plus, it's compatible with ATI Radeon 9200SE, 9250, 9550, 9600, X300, X550, X600, X700 and X1050 graphics cards!